Welcome to the home page of Nestlings Press, a small Toronto-based publishing house specializing in humour. PLEASE NOTE that we mail only to Canadian addresses. Nestlings Press, 119 Spadina Ave., PO Box 252 TORONTO B, Toronto, ON M5T 2W1. For each copy of Bird Doggerel, The Charles Arthur Stories, Gulliver's Day Trip, and If Famous Authors Wrote Nursery Rhymes, send $16.60 ($12.95 plus 5 per cent GST, plus $3 for postage). 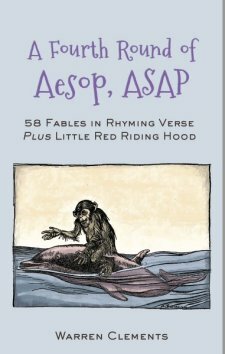 For each copy of A Fourth Round of Aesop, ASAP,Still More Aesop, ASAP, Aesop, ASAP, More Aesop, ASAP, Other Men's Business, and Meet the Shakespeares, send $18.70 ($14.95 plus GST/postage). For each copy of Here We Come A-Wassailing, How to Get to Heaven and Back and News of the Day, Lustily Shouted, send $20.80 ($16.95 plus GST/postage). 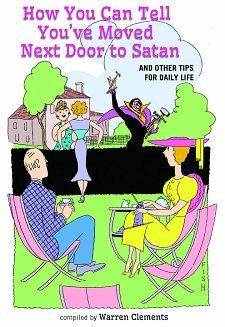 For each copy of How You Can Tell You've Moved Next Door to Satan, Treasures in the Antic, Eight Ways to Kill Off Classic Literature, A Fine Line, Third Time's the Charm, Thirty Thousand Pigs, and When Tom Met Alison, send $23.95 ($19.95 plus GST/postage). For each copy of The Many Worlds of Walter Trier, send $27.95 ($22.95 plus GST plus postage). We have a few copies left of a 1980s collection of Nestlings comic strips, published by Sylvan Press, called The Nestlings: Return Flight – 168 pages, 6 by 9 inches horizontal. If you’d like a copy, please send $13.45 (original $9.95 cover price, plus GST/postage). TO USE THE PAYPAL OPTION, PLEASE CLICK ON ONE (OR MORE) OF THE COVERS BELOW. 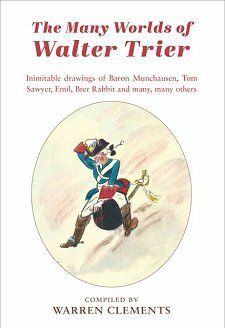 Walter Trier was an illustrator famous in Germany beginning in 1910, and then in England, and then, all too briefly, in Canada. He illustrated Erich Kästner’s 1929 book Emil and the Detectives, which kicked off decades of boys’-own adventure books. After fleeing the Nazis in 1936, he made such an impression painting the first cover of Britain’s Lilliput magazine that Lilliput asked him to paint every other cover until 1949. By then he was living with his wife in a chalet he had built near Collingwood, Ont., and was illustrating such gorgeous picture books as Till Eulenspiegel, Baron Munchhausen, The Animals’ Conference and Puss in Boots, all written by Kästner. He died unexpectedly in 1951, at age 61. This is the fourth in a series of books that turn Aesop’s fables into rhyming verse , accompanied by gorgeous illustrations by such masters as Arthur Rackham, Louis Rhead and Sylvain Sauvage. Along with the familiar tale of The Hare and the Tortoise (spoiler alert: the tortoise wins the race) are less familiar tales: the mountain that gave birth to a mouse, the man who rented out his donkey but not the donkey’s shadow, and the pigeons who interceded in a war between the vultures (not a good idea). 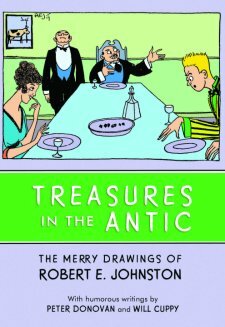 Many people know of Frank Johnston, a member of the Group of Seven, but few know of his brother Robert, who illustrated at least three books in a lively, witty style. This book contains almost sixty of his illustrations, along with excerpts from the humorous essays they accompanied, by Peter Donovan (pen name P’O.D). Fans of Will Cuppy will find a few of his writings here as well. Here are another 52 fabulous fables, newly told in verse with illustrations by Arthur Rackham, Louis Rhead and Sylvain Sauvage. The crab who can’t set an example for her son, the wolf who is misled by his shadow, the donkey who tried to live on a grasshopper’s diet – they’re all here. Plus, a nine-page verse retelling of the story of Cinderella. Drawn from the Challenge column, which ran in The Globe and Mail for seventeen years, this humorous collection by five hundred witty authors answers many of life’s more pressing questions: How can you tell that you should be suspicious of your lawyer, or that you’ve picked the wrong supermarket checkout line, or that your doctor isn’t right for you? These are tips to live by, or at least chuckle at. 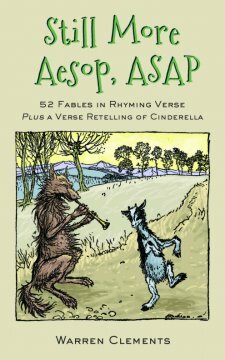 Just as he did in his 2015 book Aesop, ASAP, Warren Clements has turned fifty-two of the fables associated with Aesop into rhyming verse. "Two goats -- each from a different flock,/ Each on her own -- went for a walk/ And came upon a bridge so high/ And narrow, two could not pass by." 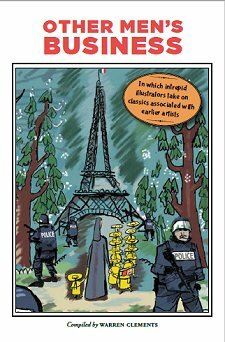 The marvellous illustrations are by Frederick Burr Opper (creator of the early 20th-century comic strips Happy Hooligan and Alphonse and Gaston) and Sylvain Sauvage. 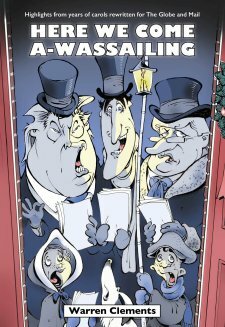 For many years on the Christmas Eve editorial page of The Globe and Mail, Warren Clements has rewritten carols to capture the year’s news events. "Go wrest ye, far from gentle man,/ All Hollywood’s incensed./ They knew for years of Weinstein’s sins/ Which now they rail against." This book collects every carol published (and some unpublished) since 2008, and a few other choice carols dating back to 1989. As a grace note, each year starts with a decorated initial by John Tenniel (Alice in Wonderland). If you enjoy hilarious typos and other notorious gaffes, you�ve come to the right place. 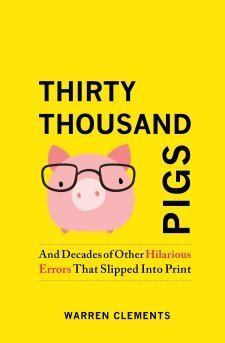 Warren Clements, who for sixteen years wrote The Globe and Mail's Word Play column, has assembled a riotous collection of typographical errors, mistakes born of mishearings, modifiers wildly misplaced, and other missteps spanning the decades. In addition to collecting these gaffes over many years, Clements includes witty comments by readers of his column about the typos they found and sent in. E.g. "The Calgary Flames could earn a birth in the Stanley Cup final." What? Right on the ice? 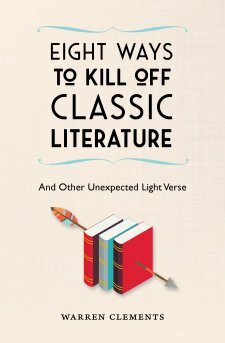 Clever rhymes, a well-tuned metrical line and humorous content - this is the province of Warren Clements, whose verses have been published in The Globe and Mail, The Spectator, The New Statesman, The Washington Post and Light: A Journal of Light Verse. Two sample quatrains from the poem that gives the book its title: Big Brother has been overthrown/ By democratic vote./ So, Winston Smith, you're on your own./ Feel free to rock the boat. Said Peter Pan, "You all can fly./ I'll use this pixie dust. "/ A shame the window was so high:/ The magic proved a bust. 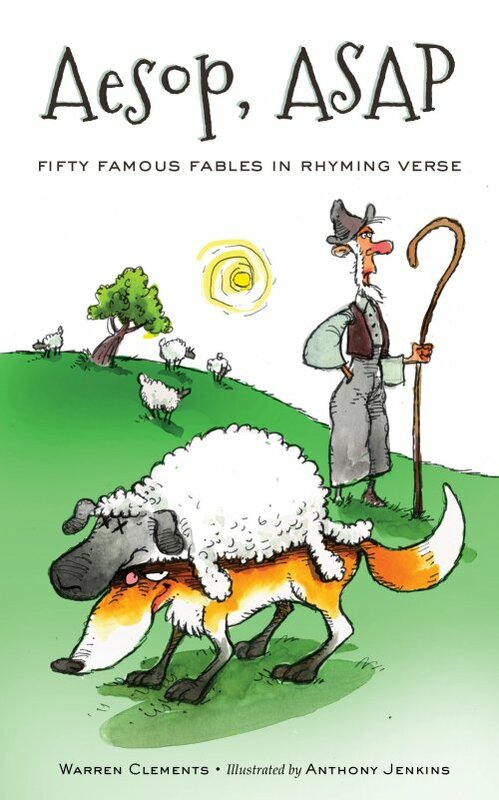 Fifty of the best-known fables attributed to Aesop and others are rewritten in lively rhyming verse, with charming illustrations by Anthony Jenkins. 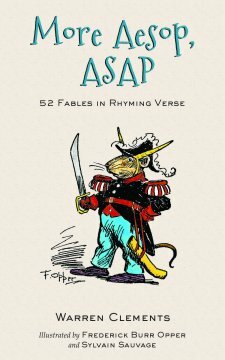 Author Warren Clements makes a point of including the pithy morals that set Aesop's fables apart from so many other mini-tales. From the dog in the manger and the wolf in sheep's clothing to the boy who cried "Wolf! ", the gang's all here. Devilish verses envision a twilight world in late Victorian London where footpads, cutthroats and high society intersect, and where menace and subterfuge are never far away. 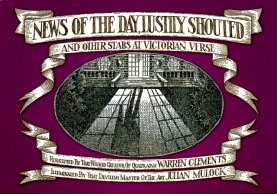 Artist Julian Mulock converts Warren Clements’s quatrains (often sliced into couplets) into glorious calligraphy, and matches the lines with stylish illustrations inspired in part by Edward Gorey and Charles Dana Gibson. Bird Doggerel is a collection of humorous and mostly accurate poems about birds, written by Warren Clements and illustrated with examples of the comic strip Nestlings, which ran in The Globe and Mail from 1979 to the early 1990s. Sandra Eadie, an expert birder, supplied the serious information about the birds that was distilled into lines of frequently rhyming verse. 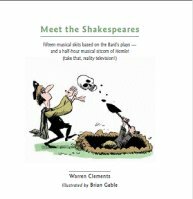 Meet the Shakespeares collects fifteen musical skits based on Shakespeare’s plays, plus a situation comedy based on Hamlet. The skits, written by Warren Clements, were performed between 1995 and 2012 as part of the annual spring show at The Arts & Letters Club in Toronto. The book is wittily illustrated by Brian Gable. If Famous Authors Wrote Nursery Rhymes is the work of sixty-two Canadian contributors to the Challenge column, which used to appear in The Globe and Mail. The challenge was to rewrite a nursery rhyme in the style of a well-known author. Thus, Ernest Hemingway pens Humpty Dumpty, Agatha Christie takes a crack at The Queen of Hearts, and Chaucer tackles Jack Sprat. The book is marvellously illustrated with caricatures by Anthony Jenkins. For years, contributors to The Globe and Mail�s Challenge column had fun rearranging book titles, rewriting great literature and imagining plot twists that might bring well-known stories to an abrupt end. "Yes, Mr. K. Someone will be happy to answer your enquiry." Or: "But Desdemona uses Kleenex!" 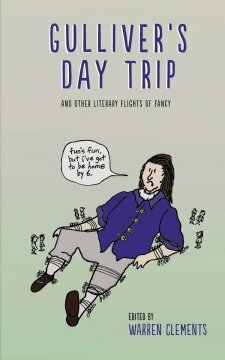 Gulliver�s Day Trip collects the best of these literary flights of fancy. If you like books, you�ll love this one. 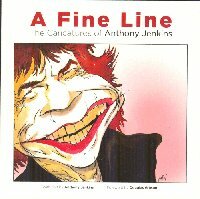 A Fine Line: The Caricatures of Anthony Jenkins collects the best of Globe and Mail illustrator Anthony Jenkins's black-and-white caricatures from his (continuing) career at the newspaper. He is a master of the art, able to produce not only an unmistakable likeness but a keen sense of personality with a few well-chosen strokes of the pen. His subjects include politicians, writers, actors and musicians, Canadian and international. When Tom Met Alison: A Fisher Collection gathers 300-plus examples of Philip Street�s beautifully drawn comic strip Fisher, which ran for twenty years in The Globe and Mail and continues as a web comic (www.fishercomic.com). Main characters Tom Fisher and Alison York circle each other warily on the road from their first meeting to their exchanging of vows, with supporting characters ranging from pragmatic housemates Eugene and Ruth to Tom�s gruff boss, Alison's cartoonist father, Tom's old flame Meg, and Bixby, a robot that has imprinted itself on Tom. Third Time's the Charm. A Nestlings Collection. 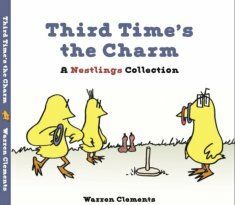 From 1979 until 1993, with a couple of breaks, Warren Clements wrote and drew the comic strip Nestlings for The Globe and Mail. The heroes were either three birds in a nest (Fletcher, Theodore and the lovelorn Robin) or the worms of the forest, depending on whether you asked the birds or the worms. This collection brings together more than 300 strips, none of which have previously appeared in book form. 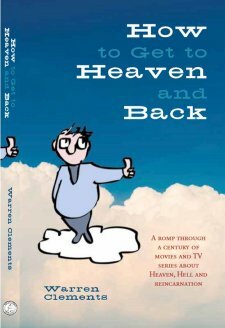 For more than a century, the movies have imagined what Heaven and Hell must look like, and what God and Satan might look like, and how reincarnation works. The interpretations are all over the map. One day, God is George Burns; the next, God is Alanis Morissette. Heaven may be a land of clouds, or a Technicolor paradise, or a black-and-white bureaucracy. Warren Clements takes an amusing spin through such films as Here Comes Mr. Jordan, Defending Your Life and Oh! Heavenly Dog. There are a few TV series, too.